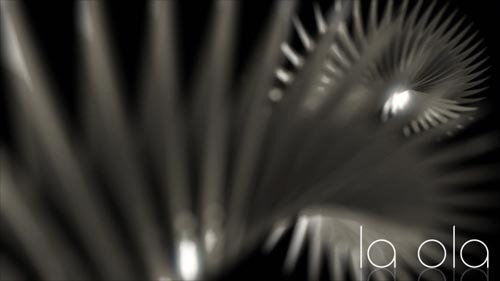 Lo Ola creates wavelike delay motion. You define one master object and its slave objects. La Ola then links all the properties and modifiers you want via expression controllers. It does not create or copy any keyframes. Once set up you get direct feedback when you animate. 2. Select Slaves and press "Add Selection"
3. Select the properties you want to be controlled by the master object. 5. Under "Process" press "OK"
Submitted by jonathank on Fri, 2013-06-14 04:42. I need to export animation to another package which requires keyframes. Is there a way to bake each objects keyframes down for FBX export? Submitted by raven on Mon, 2013-03-11 04:08. This is still one of my favourite scripts. I was just wondering if there is a way to have multiple La Ola setups in a single scene. I find that it will over write all of the setups if you just change one of the tick delays. I am controlling a few different slices on the same objects that all need different delay settings. Even if there is a way to just manually edit the current custom attributes I could change the one set to have a different variable name in the script controller. Is this possible, I cant seam to access it in the Parameter editor? Edit: Looks like it is working in another file, I just have managed to break it somehow in the one setup i have. strange. Submitted by backflipbedlem on Sat, 2012-10-27 16:47. Ok, if you parent all the bits of the geometry before hand, then the delay transforms work fine! Submitted by backflipbedlem on Sat, 2012-10-27 13:48. Did u ever get a fix for this??? Submitted by backflipbedlem on Sat, 2012-10-27 13:39. Love the script, its super cool! But seem to have run into a major issue regarding parenting. Am I doing something wrong? Is it possible. Once i get a cool looking delayed transform, I can't reposition the whole setup or parent it to a dummy etc! Really hope this can be done! Submitted by raven on Sun, 2012-09-02 07:14. Is it possible to just copy the modifier that you are using. I have a bunch of reference object, and it copies all the modifiers from below the reference point as well. So I have to go to each one and delete them. Submitted by logicoff on Wed, 2012-06-20 22:41. Submitted by Jonathan de Blok on Wed, 2012-06-20 05:46. Submitted by Daniel Wichterich on Wed, 2012-06-20 01:24. Submitted by Daniel Wichterich on Wed, 2012-06-20 01:23.